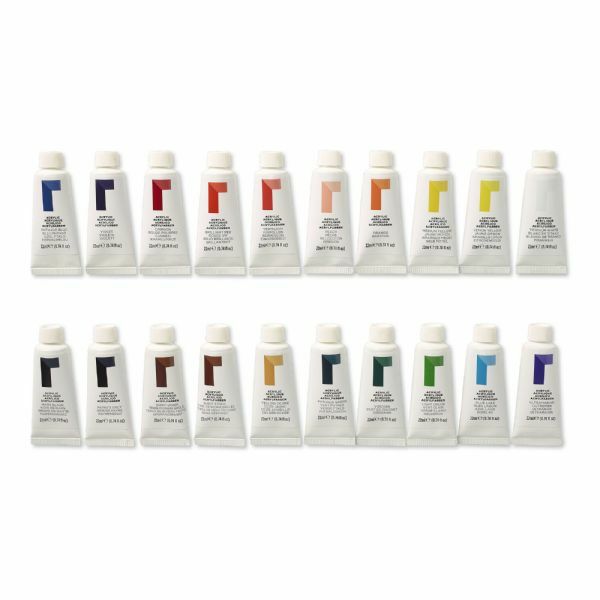 Acrylic paints are quick drying easy to use clean up with soap and water and are very versatile. * Can be used straight from the tube or diluted with water for various effects. * Waterproof and durable when dry. * Suitable for all non-greasy surfaces including paper canvas wood and leather. 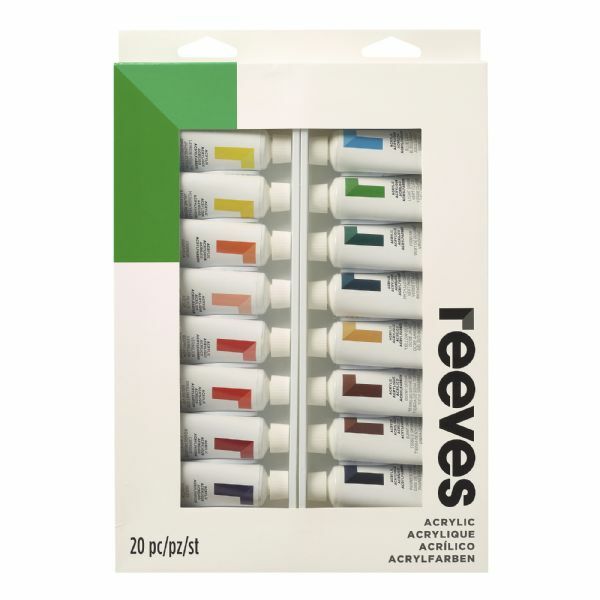 * 22ml tubes in 20 colors: Titanium White Lemon Yellow Medium Yellow Orange Flesh Tint Vermillion Brilliant Red Crimson Violet Phthalo Blue Ultramarine Blue Lake Light Green Viridian Hue Phthalo Green Yellow Ochre Burnt Sienna Burnt Umber Payne's Gray Mars Black. * This item replaces item 8390112. 11.69" x 8.58" x 1.16"